Finally. A little tiny glimmer of hope on the economic front and a breath of optimism to launch 2013 with. Against all the odds and against all expectations, U.K. manufacturing unexpectedly grew at the fastest rate for 15 months in December as domestic demand rebounded and suggested a residual strength in the economy to close out 2012. Markit Economics and the Chartered Institute of Purchasing and Supply announced that one particular measure of factory activity rose to 51.4 from a revised 49.2 in November. Most economists and forecasters expected a very similar figure for December and the rise of over two points came as a very welcome surprise. The pound stayed higher against the dollar on the strength of the news, maintaining its climb and reaching its’ highest level in 16 months. The report suggests that the chances of the UK tipping into a triple dip recession may be reduced. The economy bounced back and resumed expansion over the third quarter of 2012 and the instability and market panic around the Eurozone diminished. With questions about the imminent collapse of the Euro and a Greek exit now on the backburner, the thinking is that normal economic rhythms should resume without fear of external seismic shifts. How much this calculation has taken into consideration the effect of the swingeing public spending cuts planned for the year ahead remains to be seen. 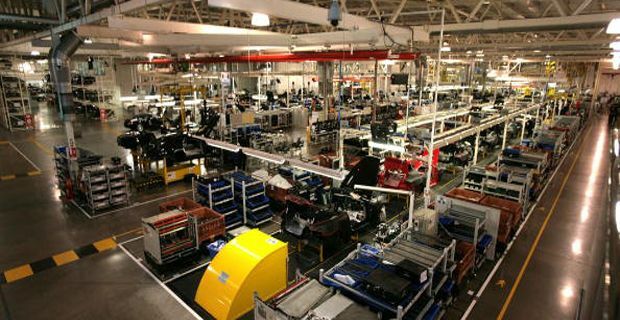 Companies remain “cautious” about the recent manufacturing indicators and the Bank of England has forecast only a gradual recovery through 2013. A separate report showed euro-area manufacturing continued to shrink last month.